Always a best place to stay with. 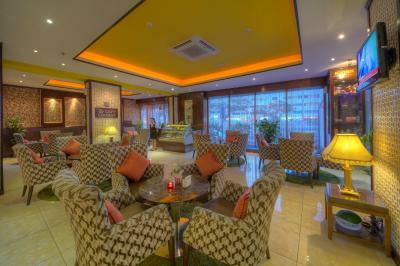 Staffs are very accommodating, everything in the hotel are well maintained. The price is the main thing, cheaper around the area. House keeping staff were polite and delivered the requested things (iron box, robes, dental kits) with out hesitation. The price was fair for a hotel in this location, it's not easy to match. On site Indian restaurant was nice, wifi signal was good and the free valet parking service. 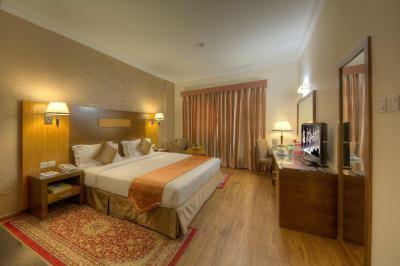 Ample toiletries were present and when requested, bath robe, slippers and iron box was provided. The staff were very friendly and responded promptly. I also liked that they have multiple events happening within the hotel, it gave it some life to a location that's lacking such an aspect. Price was good for the size of the room still felt cozy after settle in. Staff was kind especially room service and general room cleaning. The bellman maybe spell name wrong Puruby he was helpful and likable spirit. 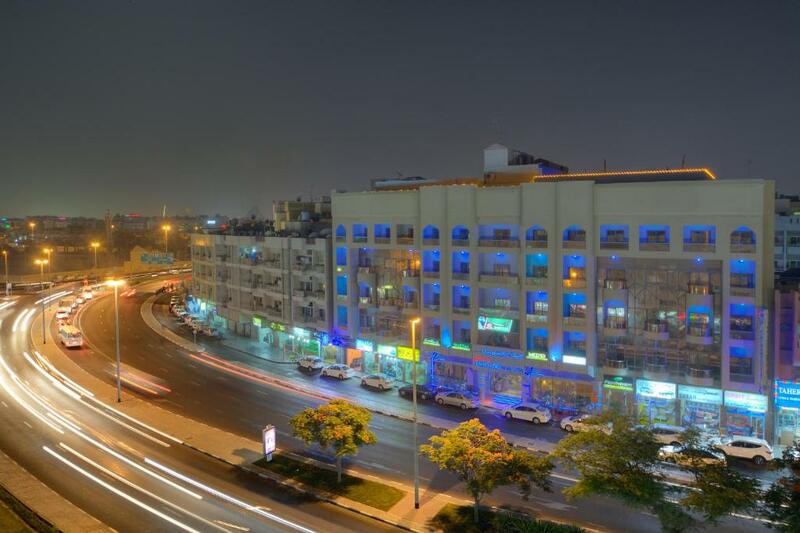 Fortune Pearl Hotel This rating is a reflection of how the property compares to the industry standard when it comes to price, facilities and services available. It's based on a self-evaluation by the property. Use this rating to help choose your stay! 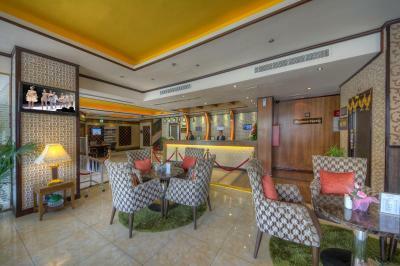 The Fortune Pearl Hotel features elegant rooms in the center of Dubai. 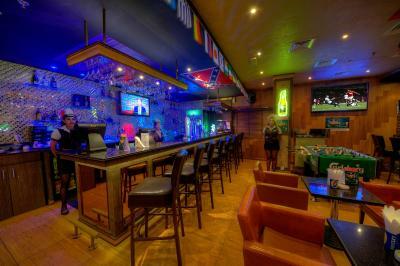 It has a restaurant, a bar, and a nightclub. 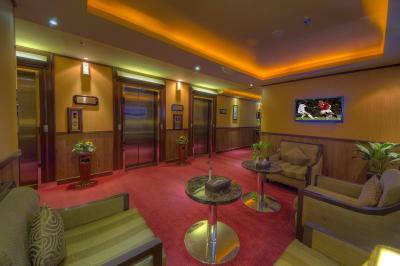 Guests also have access to a fitness center and a tour desk. 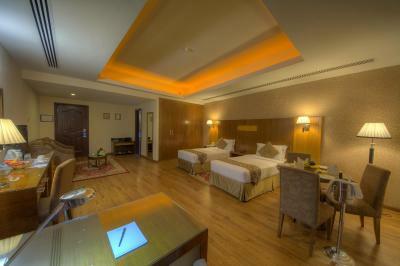 The rooms at the Fortune Pearl are modernly decorated with wood furniture and floors. They all have a TV and a minibar. 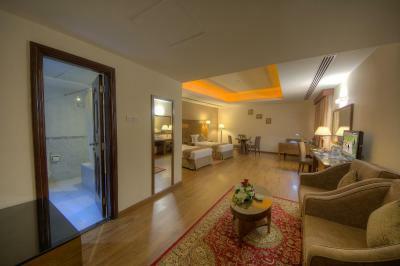 The suites have either a spacious living room or a sitting area. 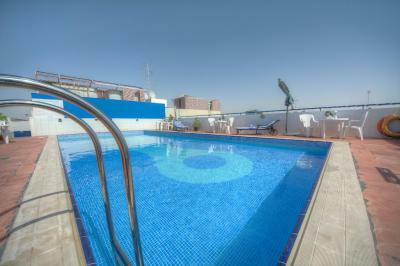 All units have free Wi-Fi access. 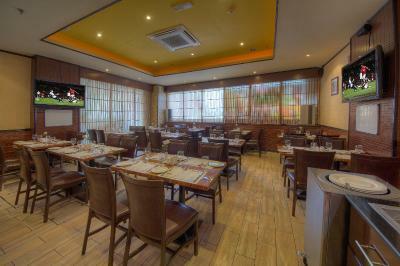 Guests can arrange to be served a buffet breakfast at the hotel. 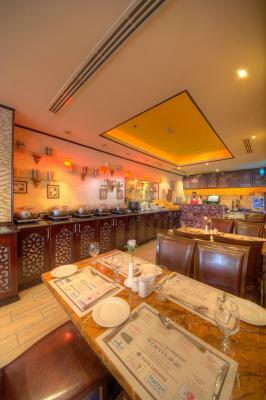 For lunch or dinner, the Pearl has a restaurant with a selection of local and international cuisine. 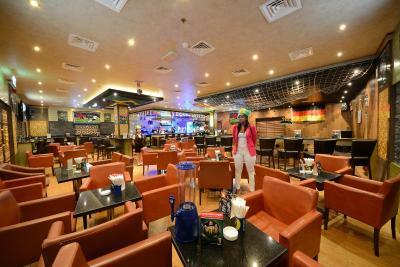 The surrounding area has a wide variety of restaurants. 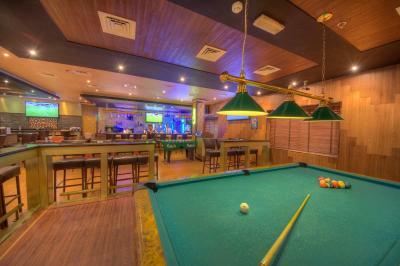 Guests can enjoy a game of pool or have a drink at the bar. 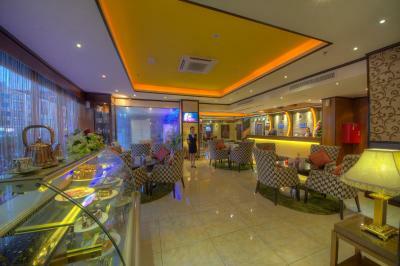 The hotel also has a snack bar. 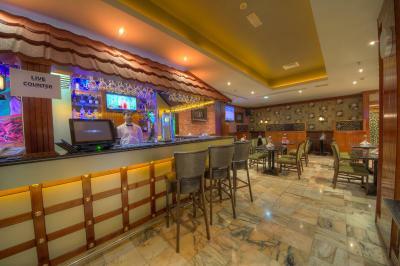 In addition, it features a 24-hour front desk and a business center with meeting facilities. 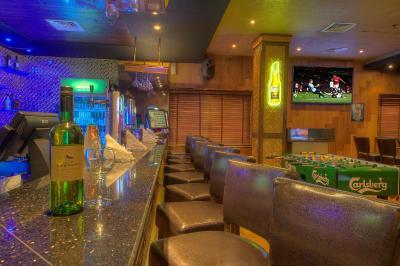 The Fortune Pearl is located just over half a mile from the Corniche Road and Dubai’s shopping and amusement area. The Palm Deira Metro Station is within a 10-minute walk. The Dubai International Airport is 4 miles away. 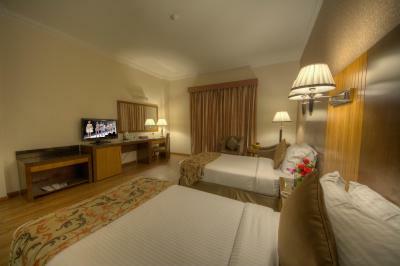 When would you like to stay at Fortune Pearl Hotel? 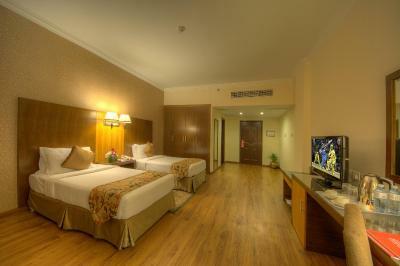 This air-conditioned room modernly decorated, including wooden floors and furniture. 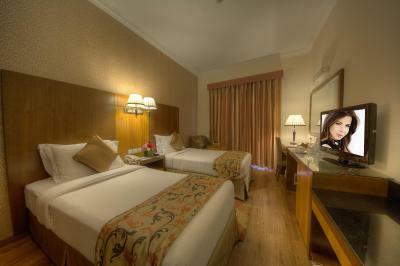 The Standard Double or Twin Room has a TV, a minibar, and a safe. 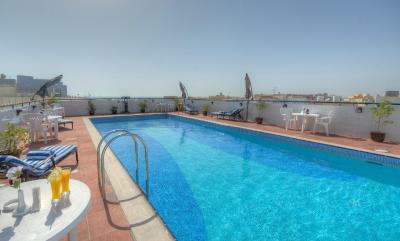 This air-conditioned suite is modernly decorated, including wooden floors and furniture. 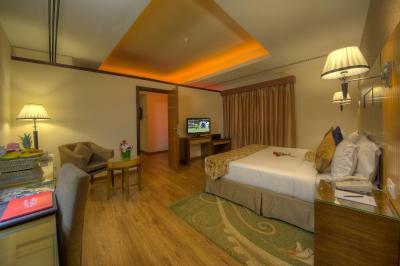 The spacious Junior Suite features a TV, a minibar, and a safe. 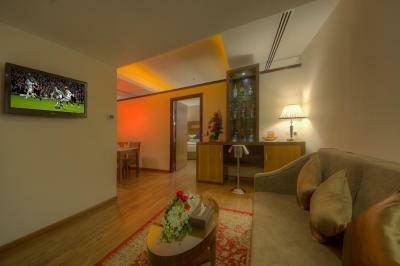 The spacious suite features a living room with a TV. It also has a minibar and a safe. 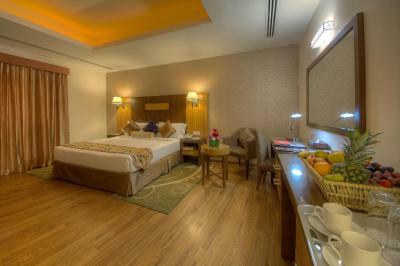 Fitted with wooden floors, this air-conditioned room includes a satellite TV, a wardrobe and a mini-bar. The bathroom features a bath or shower and free toiletries. House Rules Fortune Pearl Hotel takes special requests – add in the next step! Fortune Pearl Hotel accepts these cards and reserves the right to temporarily hold an amount prior to arrival. Please note that children less than 12 years old using existing bedding are subject to an extra charge for guests that book the breakfast included rate. Great place to stay..friendly team..my go to place from now on. Was not impressed by the reception staff service, extremely slow, and cold. They held up my ID until i check out (kind of bargaining chip). Valet parking takes time to deliver the car even after notifying 15 minutes ahead. Wifi was disconnecting multiple times, over priced f&b menu, signing of waiver to access mini bar. Gave me an intimidating impression. Location was easily accessible but in a very conjugated neighborhood. The hotel apparently has a 'no visitors policy', which wasn't mentioned on the website. So visitors cannot go up to your room, not even your children! It was neat and tidy. Receptionist was not welcoming at all nor even smiling, check in and check out takes longer time than usual. Even though i called in advance to inform that am checking out, they waited till i gets to reception to send their guys to inspect the room, and started the paper works to return my ID. Its not a 3 or 4 star services that they are offering and there are no extra ordinary amenities or valuables or compliments in the rooms, which need to be safe guarded like that. 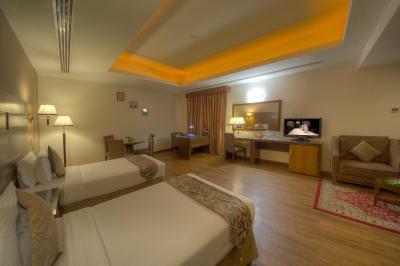 In fact the hotels who indeed provides those shows more professional approach when it comes to check in and check out. These 2 things made me feel uncomfortable. I am a frequent traveler and i rarely encountered such intimidating policies and staff through out the emirate. I have been to several other establishments and also been to other of fortune group hotels, and they have more accommodating staff and better facilities with bit higher price. They don't have onsite parking slots but the valet parking takes the car to near by sister hotel, and it takes time to bring it back. Even though i had informed 15 minutes before checking out, it took another 20 minutes for them to get my car. F&B menu is bit over priced for the quality of food they serve. 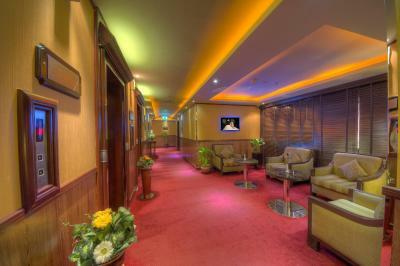 Requested for a smoking room but no ashtrays or lighter/ matchbox were provided. Noisy neighbors, and the kettle was not working even though they changed when requested multiple times. First the staff and the management are welcoming, I had to live on Saturday but I decided to stay one more night, big and cleaned room, my wife and I did love it, good location to anywhere around the city.